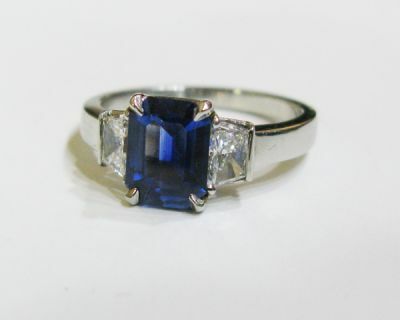 A stunning modern platinum ring with 1 emerald cut medium intense blue sapphire, est. 1.71ct and 2 trapezoid diamonds, est. 0.58ct (clarity: VS & D-E colour).